The What It Iz Hip Hop Show is dedicated to representing the Hip Hop Culture correctly. Hosted by Big Jim and Don P. We cross-promote with other small businesses that we believe in, in a win-win partnership to bring you content that is fun and entertaining but also sincere and honest. What is in store for this new year of the What It Iz HipHop show !! Gordon Chavez with his financial report and YouTube channel and Bt with his book release on Daddy day care ! 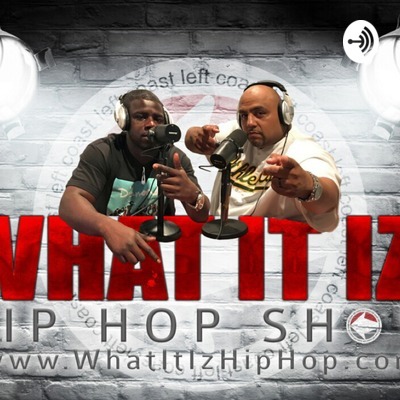 What it IZ Hiphop show focuses on the culture of Hiphop and its influences ! Up to date stories with various perspectives on the game ! Stay tuned with Don P & BigJim for more content!